All air-conditioned Deluxe Queen Room includes a microwave, a refrigerator and tea/coffee making facilities. The bathrooms offer free toiletries and a hairdryer. All air-conditioned Twin Share Room includes a microwave, a refrigerator and tea/coffee making facilities. The bathrooms offer free toiletries and a hairdryer. Located in the heart of Mackay city. 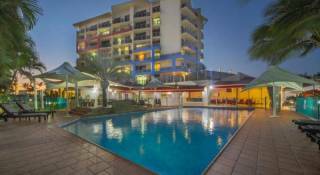 We are close to restaurants, clubs, show ground, Lagoon and bus depot. Ideally located for convenience. 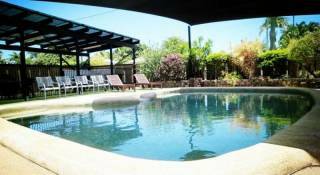 A small family owned motel, we care for our guests and offer personalised service. 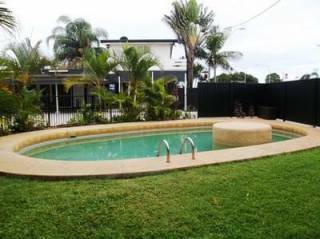 At the International Lodge Motel we offer accommodation in the heart of Mackay, Queensland, just walking distance to all the pubs, clubs and restaurants in the center of the city, providing a comfortable motel for both business and leisure travellers. 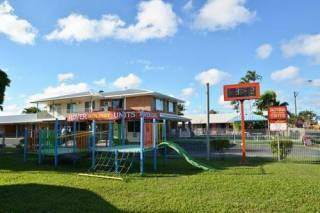 Located just off Victoria Street, the main street of Mackay in Macalister Street, the International Lodge Motel is a great choice when attending functions in Mackay CBD, no need for a car or a taxi. The International Lodge Motel has 20 well-appointed rooms, with recently renovated ensuite bathrooms and comfortable beds. The Mackay Entertainment Centre, Artspace, Senior Citizens, Library and Sharp Training Centre are all within a 2 minute walk. The newly renovated Canelands Shopping Centre is a 5 minute walk away along the beautiful River Walk. Bluewater Lagoon is close by for the kids to enjoy as it is free admission. 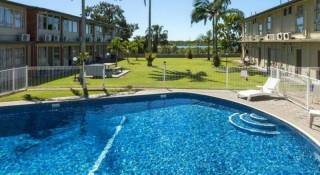 Completely refurbished with new bathrooms, deluxe carpet and beds. Great inner city location with a genuinely caring attitude! Cancellations or changes to bookings for this room must be made at least 48 hours prior to the check in date and time or you will be charged the amount for the first night. Any disturbance by a guest regarding bad behaviour or noise especially after 10pm will not be tolerated and will result in the guest/s being asked to vacate the premises.